WOW! 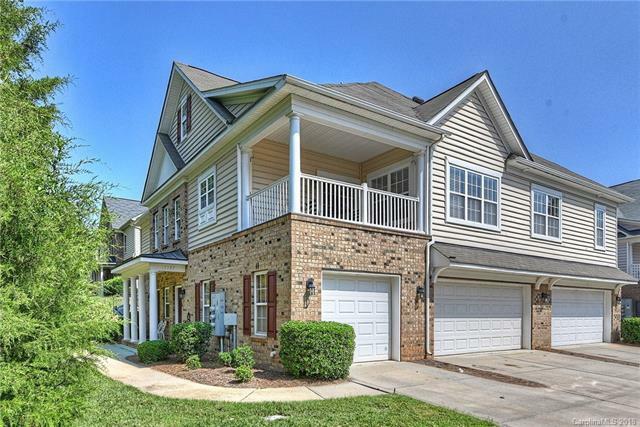 Ballantyne condo living at its finest - move right in to this Shea-built 2 BR/2BA condo in HOT Riviera. LOCATION is exceptional for buyers looking for close proximity to Ballantyne and all it has to offer - restaurants, shopping, entertainment, & MORE! This well-maintained condo has just been freshly painted in popular Revere Pewter, and boasts wood floors except in baths and laundry. Enjoy a gourmet-style spacious Kitchen with 42" cabinets, NEW Samsung S/S appliances, beautiful granite countertops and an island. Entertaining is easy with this open floor plan, including a vaulted ceiling in the Great Room and a covered balcony to enjoy a cold drink with friends. Master bedroom with tray ceiling, walk-in closet, and bathroom with newly refinished garden tub, dual sinks and tile floor. Entry is at ground level; all living space is on upper level. This is a very PRIVATE LOT in Riviera. GreatSouth Charlotte schools & low HOA monthly dues. Refrigerator, washer & dryer convey! Sold by Urban Nest Realty, Llc.